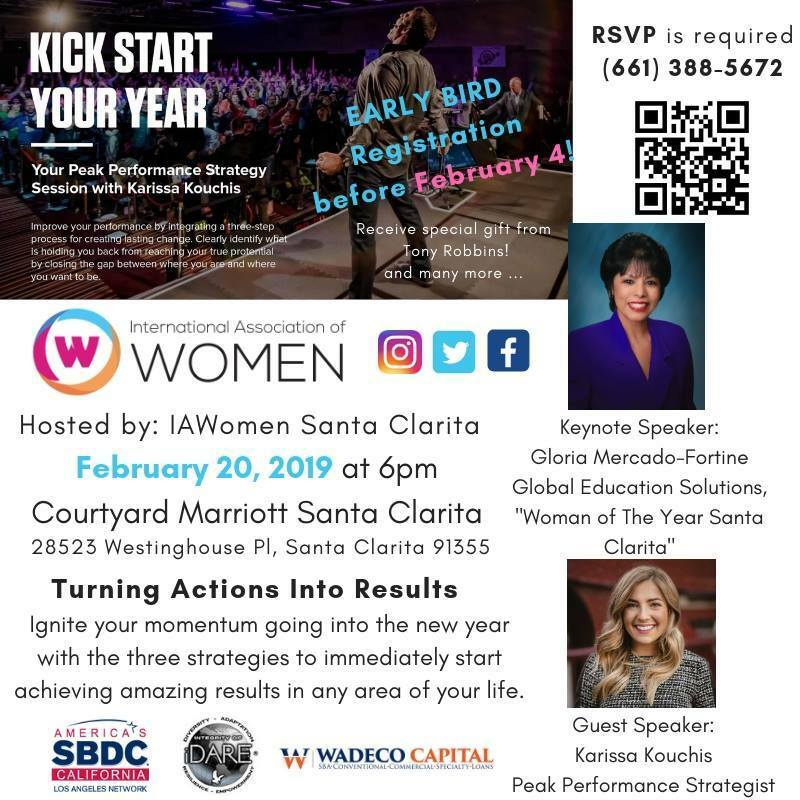 Nicky Dare Empowering event "Kick Start Turn Your Actions Into Results" on February 20 is fast approaching...Early Bird Tickets extended to this Friday Feb 8 | Get yours today!Participants will receive free special gifts from Tony Robbins, and swag bag full of goodies! 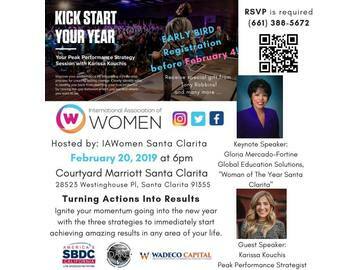 We are excited to have our Keynote speaker: Gloria Mercado-Fortine, Woman of The Year in Santa Clarita as our keynote speaker. And guest speaker, National Speaker of Tony Robbins International, Karissa Kouchis, peak performance strategist. Here's what you will learn and benefit:- Activate the driving force that moves you to action and results- Move through limitations towards resourcefulness- Cultivate a state of mental strength to overcome barriers- Inspire strong leadership- Embrace the power of force to improve productivity At the end of our session, Karissa will introduce the upcoming Tony Robbins Unleash the Power Within LIVE show weekend (March 14-17) and offer you an opportunity to enroll in the most dynamic and life changing experience ever! What are you waiting for? RSVP here: https://www.eventbrite.com/e/kick-start-your-year-turning-actions-into-results-tickets-53675870975 Bring guest(s). See you all soon !